PLG provides comprehensive lighting services. View some of our LED lighting case studies. PLG is a wholly owned subsidiary of Utility Construction Company, Inc. (UCC), established to handle LED manufacturing, equipment sourcing, design and engineering services for UCC. Both companies are housed in UCC’s corporate headquarters in Mesa, AZ. The UCC/PLG team gives clients the comfort of a single source of responsibility to deliver the products AND services that are required for LED installation, replacement & retrofit projects. To be successful in LED energy savings projects, special attention must be given to the details. PLG will perform a site survey at NO COST to the client, that helps to demonstrate the financial feasibility and performance of a project. We will survey existing the equipment and plot the existing lighting levels. We will then run computer simulations of how our LED’s can increase illumination and determine the overall energy impact of the proposed LED. Part of our due-diligence here at PLG is going the extra mile, to ensure that our proposed solution meets IES-NA standards for the application. PLG will take light meter readings at multiple points, at multiple angles around and near the luminaire. We will then compile this data in-house and design a customized solution, specific to the proposed fixture or LED with the goal of meeting or exceeding existing light output and distribution. Energy Savings Performance Contracting (ESPC) is a budget-neutral approach to make building improvements that reduce energy use and increase operational efficiency. It’s an innovative technique that uses cost savings from reduced energy consumption to repay a portion of the cost of installing energy conservation measures. PLG will provide complete delivery of lighting upgrade projects that generate revenue for the client by saving energy and maintenance cost in greater amounts than project costs. PLG can design LED solutions from the ground up for unique applications with special requirements. Whether it is unique light distribution, color, form factor, environment, or application, PLG will develop a lighting solution to meet your requirements. Our SBX Retrofit Luminaire is a perfect example of a solution that can be customized and easily adapted as needed. The IDA has developed a set of recommendations for choosing lighting systems. These recommendations aid in the energy, safety, and security fields and promotes dark night skies. 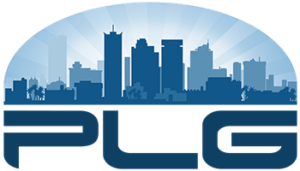 PLG works tirelessly to accomplish meet these recommendations in the following ways. Learn more about PLG’s IDA Dar-Sky Compliance Services. PLG is a full service LED light fixture and systems repair contractor. Learn more about LED fixture repair.